I absolutely love music, I couldn’t go a day without listening to it, so I thought I’d start this new series on my blog. 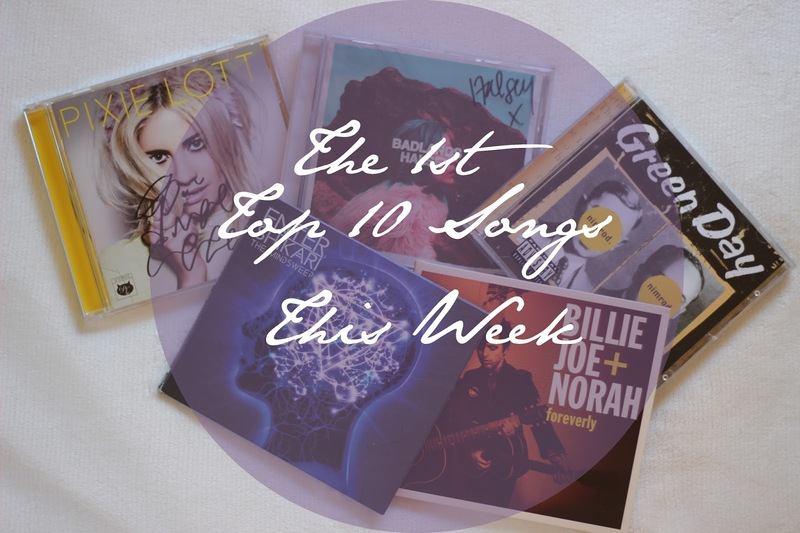 I’m hoping for it to be a regular weekly series, with a new set of 10 songs I’ve been enjoying that week each Sunday. This week I’ve been enjoying two brand new songs, Good Summer by Kate Nash and Bang Bang by my favourite band, Green Day. I’m so happy that they’ve both released new music! Also a very special mention for an album I’ve been loving this week, the self-titled Viola Beach. This band ever so sadly passed away in a car crash earlier this year, the album was released posthumously. It is an incredible album and full of perfect songs for summer and I’m sure I’ll be enjoying it for a long time.